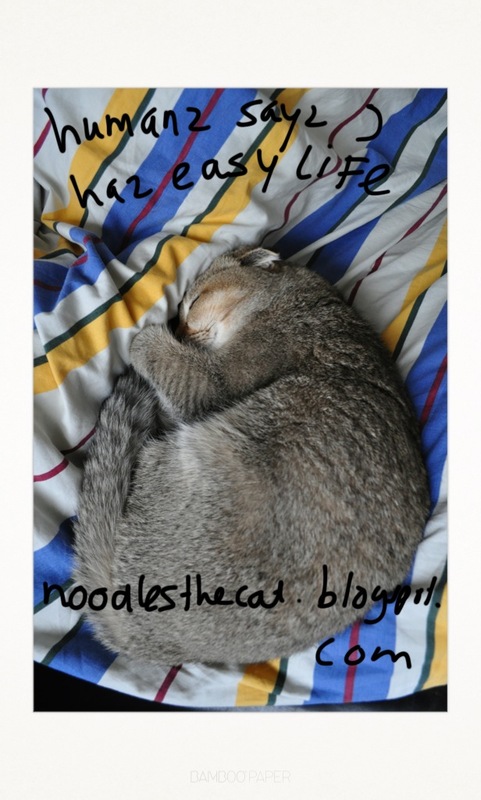 I IZ NOODLES THE CAT: Easy life! Humanz say my life is so easy, because I only eat and sleap. Not true, cauze I haz tight schedule!